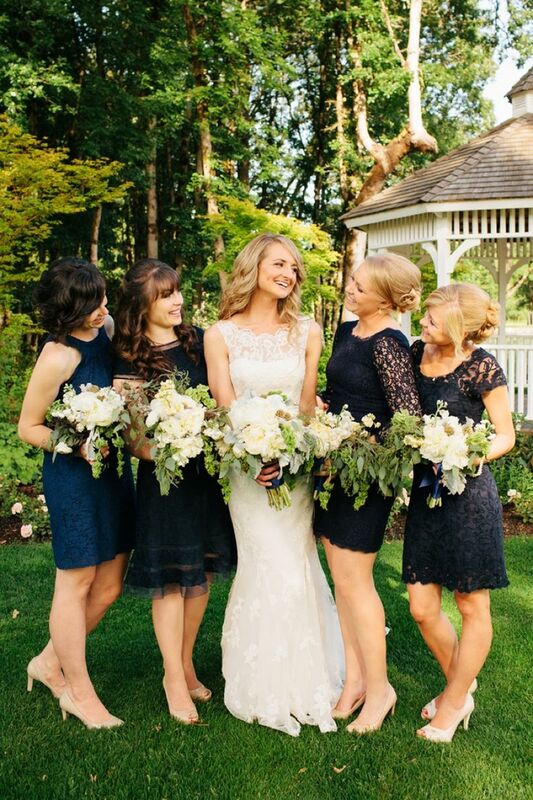 It's a no-brainer that everyone comes in different shapes and sizes, so for a Bride to pick out a style dress that only she likes, seems a little crazy to me. 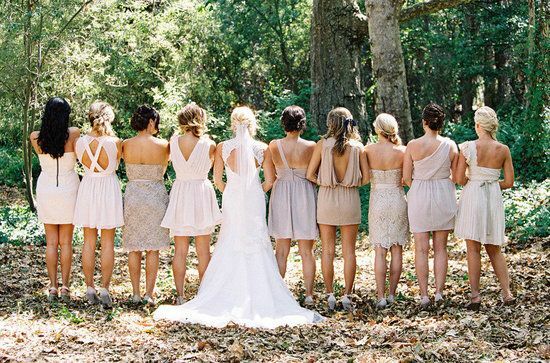 After all, the Bridesmaids are the ones who are paying for the $150+ dress that they are most likely never wearing again. Therefore, why not give them some options to make the experience seem a little less painful? 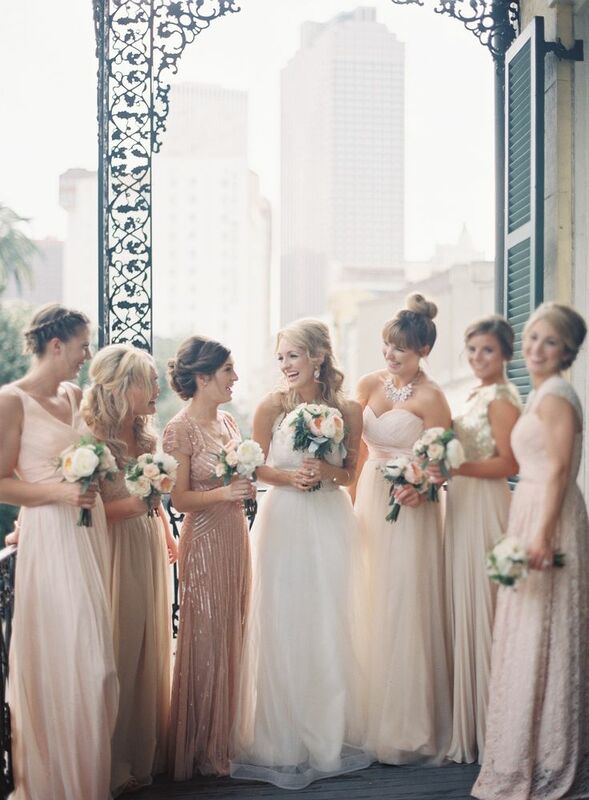 I had my Bridesmaids pick out different styled dresses in the same color, length and material and they were actually excited about their purchases when we left the store. 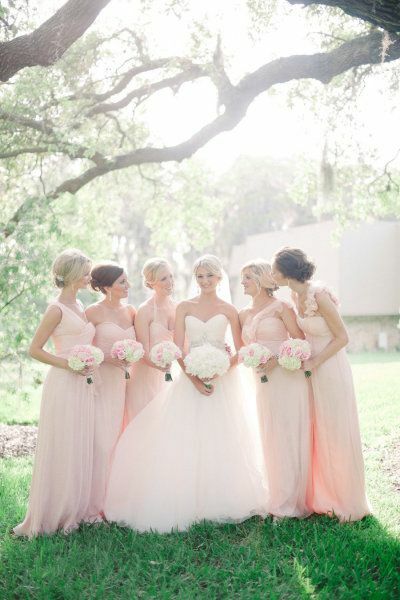 Make sure not to be too laid back and to give your honest opinion if one of the Bridesmaids asks for it (nicely, of course)! If you are "too laid back"(cough, cough: like I was), it can actually have the reverse affect and stress some of your Bridesmaids out. 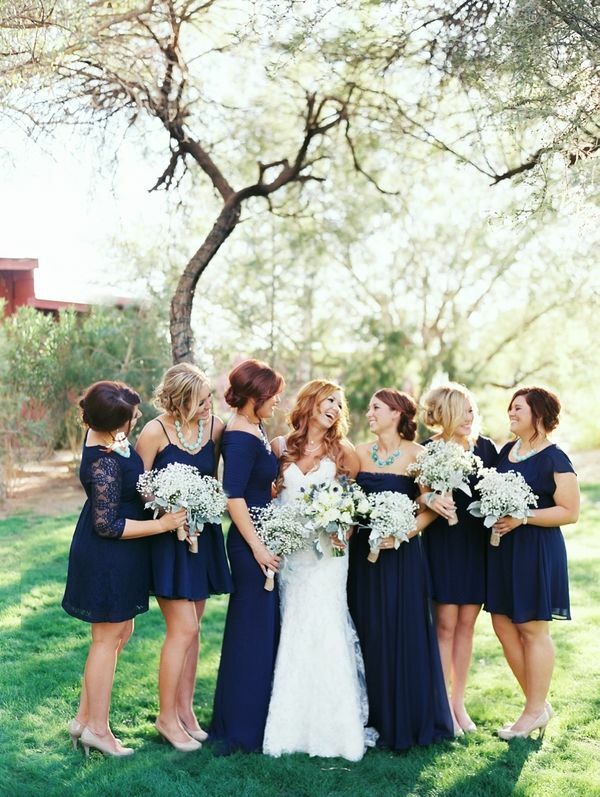 Did you or will you have mismatched Bridesmaids Dresses at your Wedding!? Link up with The Blonder Side of Life to meet some new Friends! 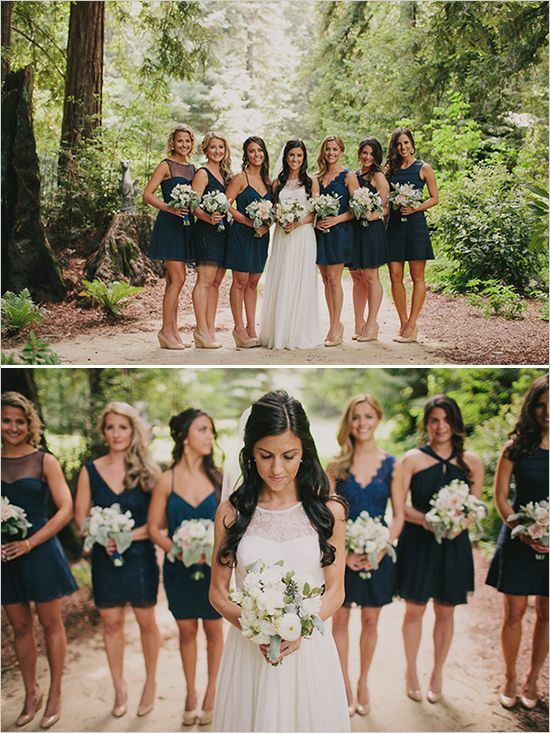 I did traditional/matching dresses but this way is really growing on me especially when the color is exactly the same.. it makes for beautiful photos! I agree, definitely makes for great photos! I LOVE mismatched dresses... especially shorter ones because they really will have a chance of getting worn again. Definitely! We ended up getting the long dresses, but I do love the shorter ones too! 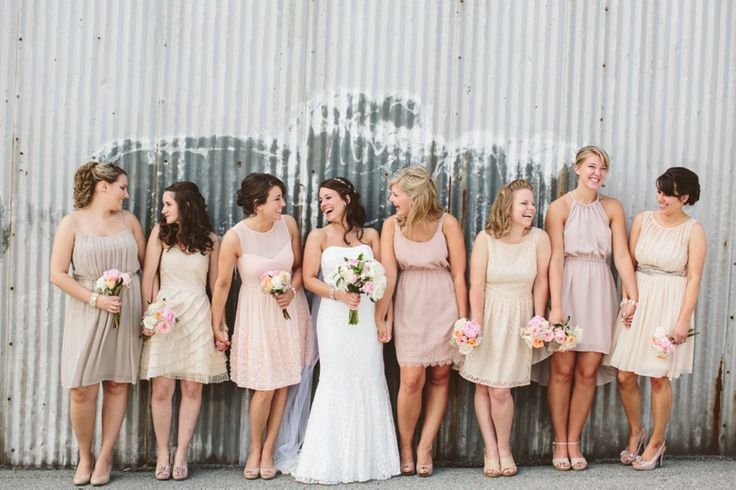 I have always wanted mismatched bridesmaid dresses. 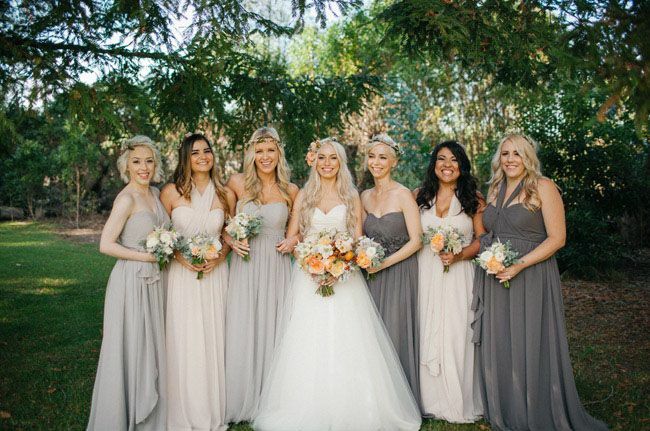 I definitely want the same color and length, but I want my bridesmaids to be able to choose a style that looks good on their body. Also, it's so true, it'll help them be able to wear something that they like again! Thanks for stopping by! Have a good weekend! I haveta say, the whole mismatched thing has been growing on me lately. I think it can rally work if the personality of the bride/wedding fits. Not that I have a wedding to plan to anything lol Thanks for linkin up girl!